At present, lithium phone battery for mobile phones are divided into two types, lithium ion and lithium polymer. The two positive electrode materials are the same, generally the lithium cobalt acid (three yuan material and the lithium phosphate lithium-ion at present there is no material in the mobile battery commodity). The difference is that the lithium ion battery electrolyte is six fluoro phosphate, and the electrolyte of the lithium polymer battery is a solid polymer. Polymer batteries basically refer to Sony Ericsson batteries. 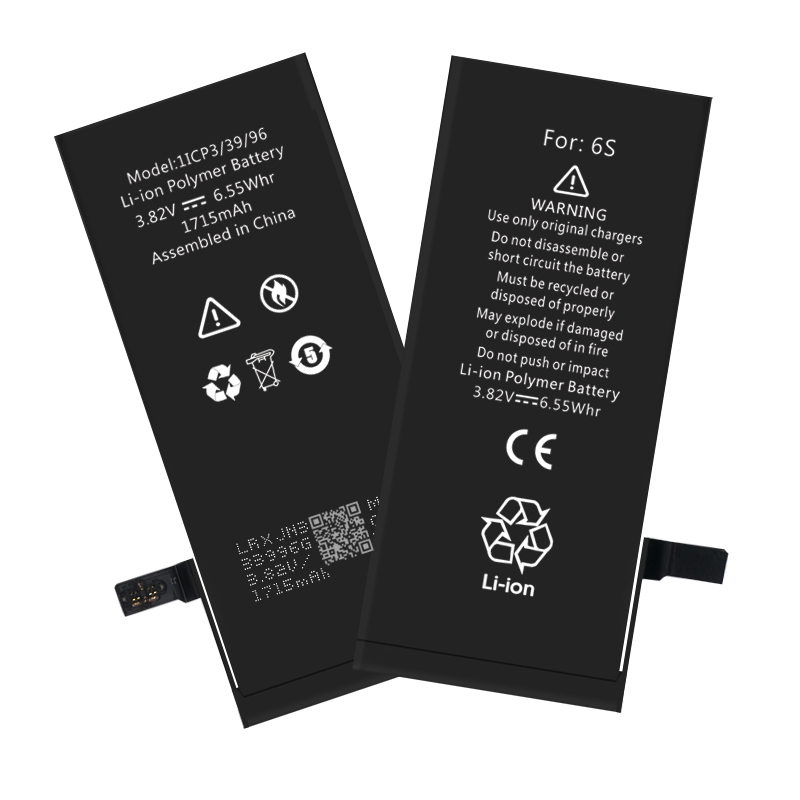 Generally speaking, polymer battery discharge is more uniform and safety performance is better, but the cost is relatively high.Two kinds of lithium phone battery charging matters are basically the same. So let me repeat the safety features of lithium batteries. Because the lithium battery itself has no overcharge protection, that is to say that it is very easy to cause explosion, all the battery manufacturers will install a circuit control chip inside the lithium battery, and immediately after overcharge automatically power off. On the contrary, Ni MH battery has little effect on its overcharge. As long as the temperature is at a safe temperature, there will be no accidents. The safe temperature of lithium battery is about 180 degrees, and it is easy to explode at this temperature. Then how does the newly bought cell phone fit properly? Since any lithium battery must be tested for safety before going out of the factory, the process is also activated, so that the lithium ion in the cathode material can be free and free, and there is no lattice collapse. So to ordinary consumers, the battery is strictly detected activation steps, do not worry about the activation state. Now on the Internet, the first three times for the first three times to account for 12 hours, the earliest cell phone battery was nickel hydrogen battery, such as NOKIA 3310, NiMH battery did not need to be activated, and the battery itself also had memory effect. The power is completely discharged (the voltage is changed from 1.2V to 1.0V), which prevents memory effects. If the charging time is short, the battery is not fully activated, and the 1000mah battery may only be filled with 900mAh, which has a great impact on the efficiency of the battery and the battery life itself. What will happen if the same method is applied to lithium batteries? Because the crystal characteristics of lithium cobalt oxide are different from that of nickel hydroxide, the lattice collapse is easier than that of nickel hydroxide. So in the charging process, if overcharge time is too long, the space activity of lithium cobaltate can be invalidation, and the charge will lead to the increase of temperature. First, it has great influence on the cathode material, and it may also lead to danger. Because of this, we must not use up the battery in the process of using lithium battery, so that the lithium cobalt oxide will be severely disabled and shorten the life. The correct way is not to wait until the battery is running out before charging, and when the battery indicates that the charging is completed, the power is immediately removed. The most appropriate method of charging on mobile phones is:the charging line is recharged in shutdown state, and the power is removed immediately after filling. Do not give all security issues to the protection circuit inside the battery, because that sometimes fails, for example, the battery explosion at Dell is a living example.